JDC - Archives : Detainees line up for butter or shortening rations in a Cyprus quarantine camp for newly arrived Jewish prisoners. 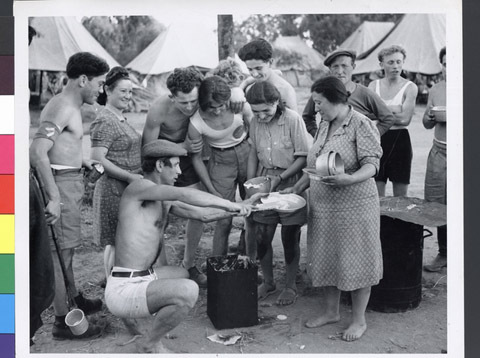 Title Detainees line up for butter or shortening rations in a Cyprus quarantine camp for newly arrived Jewish prisoners. Description Facilities regularly available in the quarantine camp for newly arrived prisoners to Cyprus were primitive and supplies minimal. JDC provided supplementary food rations, medical care,and established educational programs for Cyprus detention camp internees.